The events are cleverly structured similar to that of the popular tennis tournament format with quarter finals, semi-finals and final event. 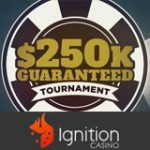 Each tier offers a bigger guaranteed prize pool ranging from $500 up to the $10,000 Wimbledon Final. 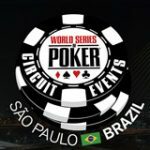 Players can start qualifying from as little as $0.20, buy-in at any level or deposit with the special 888 Poker promotion codes to get a tournament ticket for the semi-finals or final tournament. Get free cash when signing up as a new player, from selected countries. UK players get £12 free, plus a free 888 Poker shirt when making a first deposit of only £5. The series of guaranteed poker tournament run from 29 June until 6 July on 888Poker, play your way to the Wimbledon final where there is a $10,000 guaranteed prize pool. The Wimbledon Quarter Final consists of four $500 guaranteed poker tournaments which also serve as qualifying tournaments for the Semi-Finals. Players will have four chances to qualify, only the top 100 players in each event will get a tournament ticket for the next round. Players who don't qualify will still have a chance to buy-in or deposit for a seat to the Semi-Final tournament. The Wimbledon Semi-Final has two guaranteed tournaments with a $2,000 prize pool, on top of the cash prizes players will also be playing to qualify for the Final tournament. 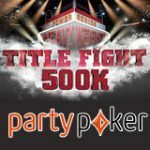 The top 50 players will qualify for the $10,000 final, to register for this event players must buy-in directly or use a tournament ticket from the Quarter Finals. Additionally player can deposit $50 or more using the promotional code two tournament tickets for both Semi-Final tournaments worth $5 each, the 888 promo code is valid until 3 July. 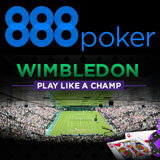 Play for a $10,000 guaranteed prize pool in the 888Poker Wimbledon Final tournament, players can buy-in directly for $12 or use a tournament ticket from the Semi-Finals or deposit bonus. Players can also get a tournament ticket to the final by making a deposit of at least $100 using the promotional code below. 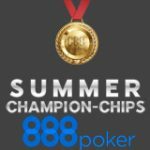 The 888 promo code is valid until 6 July just before the tournament start time. New players that signup for an 888poker account are eligible for special bonuses which include free cash to players from selected countries and a deposit bonus for 888 Poker UK players. 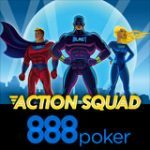 Get a $8 free 888Poker bonus, players who signup from the any of countries listed here: Spain, Denmark, Austria, Switzerland, New Zealand, Australia, Ireland, Greek, Netherlands, South Africa, Canada, Sweden, Norway, Lebanon, Japan, Kuwait, Cyprus, Luxembourg, Brazil, Russia, Malta, Finland, Slovenia, Singapore, Hungary and India. UK poker players can get a free 888 poker shirt when making a minimum deposit of just £5, players will still be eligible for a £12 free sign-up bonus. The free 888poker T-shirt promotion is valid for depositing players who make their first deposit between 23 June - 14 July 2013. Players from other countries can also get a free 888 Poker T-Shirt as part of a WSOP 2014 promotion for a limited time, players depositing $25 using 888 promo code NEWSHIRT for first deposit or 8SHIRT for players than have already deposited at 888poker. 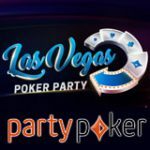 This offer is shown on the WSOP 2014 Live streaming link where you can watch the World Series of Poker final table streaming live sponsored by poker 888.